I’m at a weird point here in the final stages of 2016. I plan on sending the final book of The Firebird Trilogy to my publisher in November, and then…I have no idea what’s next. Well, I do, sort of (and the next book will involve seeking an agent as well), but not in the sense I’ve had for the past two years, which is “You’re going to write the next book in the trilogy as soon as you’re done with this one.” I mean, I’ve taken time to write a short story or novella here and there, but I always knew exactly what the next big project was. For someone more comfortable with shorter fiction to have even written an entire trilogy–close to 233,000 words of it, before the third book gets one more go-round–is a feat in itself; to have done it in a genre that until two years ago was so far beyond my comfort zone I swore I’d never write in it is an accomplishment I’ll always be proud of. But it leaves me in a bit of a sad spot, too. I can’t say I’ve ever felt quite like this in the eighteen years I’ve been in this business. It’s post-book depression, except I’m the writer instead of the reader. I’m saying goodbye to characters who feel like old friends. Alex in particular, who is easily my favorite character I’ve ever created, does not go quietly. He’s whispered about a spin-off novel, a prequel novella, and so on. On the other hand, this being my last contracted novel at the moment, I have the chance to work on a couple of pet projects, as well as finish up some things that have been on the back burner. And it’s been a pretty good year for me, with a novel, six short stories (so far), and two novellas published by the end of the year. Right now, I’m working on two short stories for anthologies, and in the pipeline for next year I have a m/m shifter novella, a weird/cosmic horror novel that is a sort-of sequel to Those of My Kind, an ergodic steampunk novella, an urban fantasy/paranormal romance, and a superhero novel. I’m even tinkering with the idea of self-publishing a collection of my fairy tale retellings, fully revised and including a couple never before published. So it’s not that I don’t have plenty to work on; it’s choosing the one that will start to fill the hole left behind. And to be honest, I’m pretty excited about all of these things. What project are you most curious about? Drop me a line in the comments–or, if you’re in the Philly area, come see me at Unmask the Romance on October 1, or Indie Author Day on October 8. I’d love to chat! 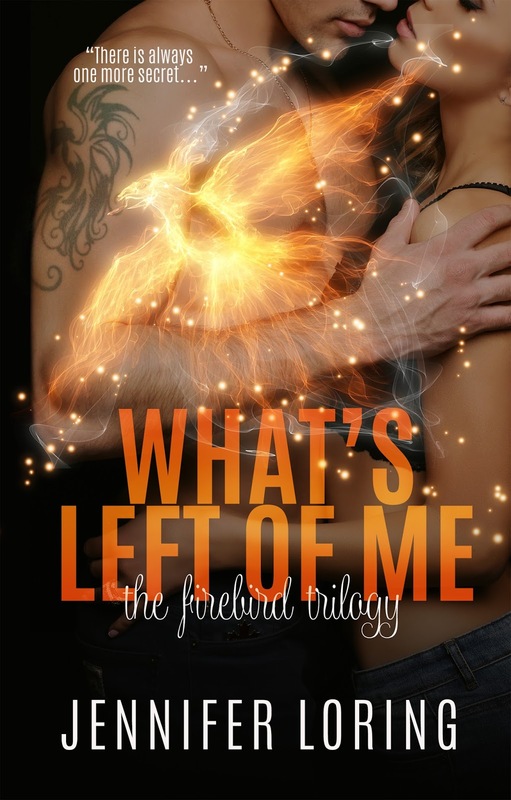 What’s Left of Me, the latest installment of The Firebird Trilogy, is available from all Amazon sites as well as in paperback from Barnes & Noble, Books-A-Million, and CreateSpace.